"Any attempt to destabilize is a reprehensible act for Ecuador, because we are a sovereign nation and respectful of the politics of each country," Moreno told the newspaper in an email. "It is unfortunate that, from our territory and with the permission of authorities of the previous government, facilities have been provided within the Ecuadorian embassy in London to interfere in processes of other states." "We cannot allow our house, the house that opened its doors, to become a center for spying," he added. "This activity violates asylum conditions. Our decision is not arbitrary but is based on international law." "He maintained constant improper hygienic behavior throughout his stay, which affected his own health and affecting the internal climate of the diplomatic mission," Moreno said. Meanwhile, bizarre footage of Assange skateboarding inside the Ecuadorean embassy has been obtained by the Spanish newspaper El Pais. 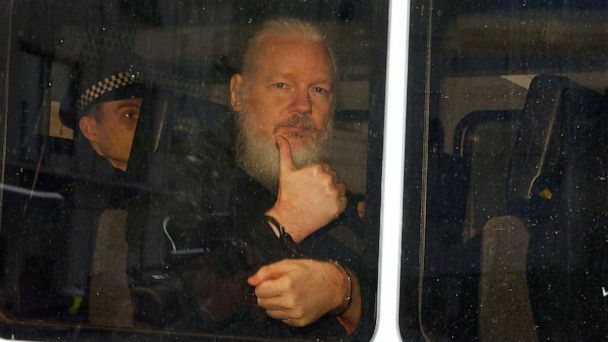 According to the newspaper, Assange behaved "eccentrically" and security guards who had dealings with Assange between 2012 and 2017 corroborated the claims made regarding his hygiene. In an interview for ABC News' "The Investigation" podcast, war documentary filmmaker Sean Langan said life inside the embassy had been "like a gilded cage" for Assange.